House Clearance Deeside & Nearby Areas. Deeside Domestic Clearance & Removals. Based near Deeside A1 are a local home clearance company with over 20 years experience. 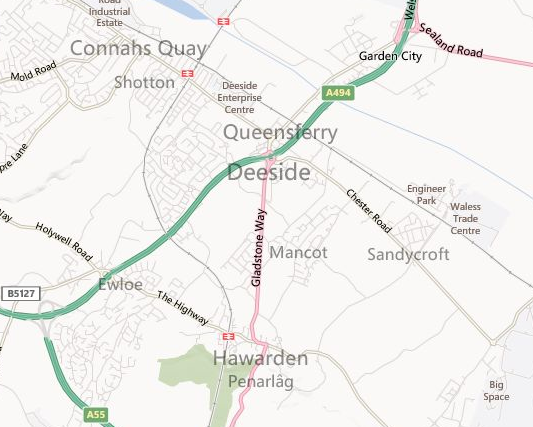 We provide our services to people throughout Deeside and its surrounding areas, including Cannahs Quay, Shotton and Queensferry. Read our customer reviews here, or view the full range of our services here. Call us today on 01244 340042 or 07840451745. Or contact us via email. We are Fully licensed by the Environment Agency, and have endeavoured to provide a trustworthy and efficient service throughout the Deeside region. We have a strong recycling policy, and always dispose of waste legally. A comprehensive list of the services we provide in and around the region can be found below. If you are interested in any of the following contact us today for a brief discussion about how we can help you.